There are basically two ways to make companies more successful: Cutting costs and increasing sales. The main question is how to get faster! David® is increasing the pace! One single software enables you to do things that you used to need dozens of different programs and devices for. It&apos;s not surprising that tens of thousands small and medium-sized companies rely on the standard software for information, communication, organization and teamwork today. eMail makes the world go round. It is the most used communication medium in business. Whether with customers, partners, suppliers or internally with its own employees: Fast and direct exchange of information. Digital signatures make e-mail communication with David® even safer and more professional. As an optional service they provide for the unique identification of the sender and mark e-mails as unchanged and safe. The signatures comply with the latest EU directives and are issued by D-TRUST, Bundesdruckerei&apos;s trust centre. With David® eMail is even faster. The unique Live Comment technology enables the exchange of eMails like a chat. Informally and in real time you exchange views with other receivers in no time. Communication is now more versatile than ever. eMails, letters, faxes, voice, SMS or chat messages: Each media has its purpose. David® combines what belongs together. In just a single software you will find all the components of communication. David® is a complete unified messaging system and is much more than the sum of its parts. 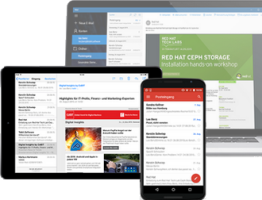 The brand new chat makes eMail look old: The synchronous communication and exchange of information on your own server with PCs and mobile devices is the quickest and at the same time surest way for efficient teamwork. Each workstation always has a phone. This is usually ugly, clunky and complicated, with functions that go beyond normal telephony. David® makes telephoning now smart and desk phones unnecessary. 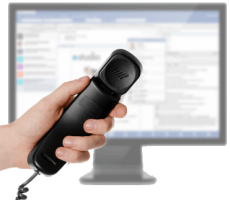 With the telephony services for David®, phone and PC merge completely together. All telephone functions can be easily operated with a mouse click. For mobile working with David® virtually no limits apply. Whether at work in the office or whether using a notebook at home, while traveling in the hotel or via smartphone or tablet on the go - eMails, calendars and addresses are always available. Thanks to the direct support of Exchange ActiveSync protocol, users have virtually a free choice of client for their device. Naturally David® also supports message retrieval via IMAP and POP 3 and provides for WebMail via your browser. Excellent software nowadays is much more than a professionally designed package of bits & bytes. It is a living product. One that never gets old, because it is constantly updated. Operating systems, applications, PCs, laptops, tablets computers, smart phones and networks: everything is in motion. And faster than ever before! From very small to very large: David® adapts to any business. The licensing is done individually according to the size of the company by users and communication channels for fax and voice functions. 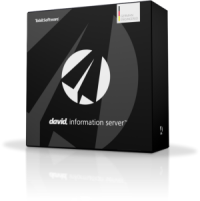 Optional services extend the functionality of David® and improve safety, the client as well as on the server.